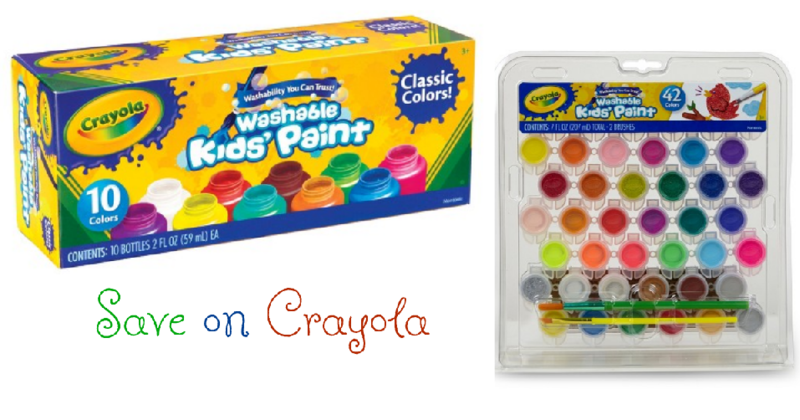 Head over to Target to save on Crayola Paints and brushes. In case you haven’t heard, Target is offering a 25% off one toy, sporting goods item or craft activity kit digital coupon when you text TOY to 827438 (limit one). This discount can be used in-store and online. Pair this coupon with a sale and Cartwheel coupon for some fun deals on paint. Cartwheel valid through 11/3. Choose free in-store pickup.